Why should you consider having a professional cleaning company clean your home? After all, you can clean your home, so why spend the money? There are many good reasons for having a professional cleaning company give your home a deep clean. Let's look at three compelling reasons. Nowadays it seems none of us have any time. If you're not working late, taking the kids to after school activities, or commuting someplace, by the time you get home, you have to worry about fixing dinner and taking care of your family. Deep cleaning your house is probably the last thing on your mind. Professional cleaners can clean your house better than you can, and with the right professional grade cleaning supplies. Your home will be cleaner and you will have less dust and dust mites, which can trigger asthma attacks and allergies. Having a professional cleaner clean tile and grout will ensure that your grout won't harbor mold or mildew, which can also seriously affect your health as well as be quite embarrassing! Having a clean environment can bring your family and friends together. It will make a more comfortable place to live in. You'll enjoy your home that much more -- and so will your family and friends -- if your home is clean and inviting. We use a specialized formula with cleaning agents that are non-toxic, not-irritant, and biodegradable. All of our cleaning agent ingredients are perfectly safe for use near children, pets, and allergy sufferers. 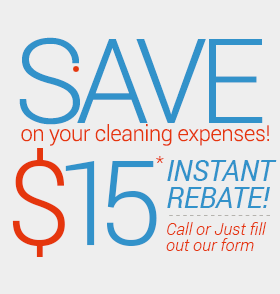 Let us do the dirty work for you! Contact us today!